Ralph attended New York University and graduated from the College of Insurance in 1988. 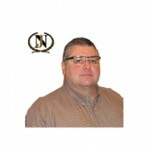 He has been involved in the public adjusting business since 1988 and is a member of both the New Jersey and New York Public Adjusting Associations. Ralph holds public adjusting licenses in New Jersey, New York, Connecticut, Delaware, North Carolina, Florida, Nebraska, Colorado and Utah and has been certified as an expert witness in the Superior Court of NJ. After graduating from the College of Insurance in 1988, Ralph went to work for the states largest independent adjusting firm, representing many insurance companies in home owner and commercial claims. He feels with the knowledge of the Insurance company’s inner workings, he brings experience and knowledge help with you with your claim.